Terror for Two is a text-based survival horror game from Koala Squad. Your younger brother Elijah is in a situation equally as terrifying as yours. You must guide him to salvation while saving your own skin. Text your way to victory, solving puzzles and discovering Easter eggs. You awaken on a cold winter night, your nightmares depriving you of much-needed sleep. Elijah says his caretaker won’t come to the door when he knocks. He received a serious brain trauma a few years ago, and he has a hard time making sense of environments, let alone walking around in his multi-story house. Experience the text adventure with multiple possible endings. Discover Easter Eggs out your ears. If you get stuck in the game, check out the video walkthrough and gameplay for the game. 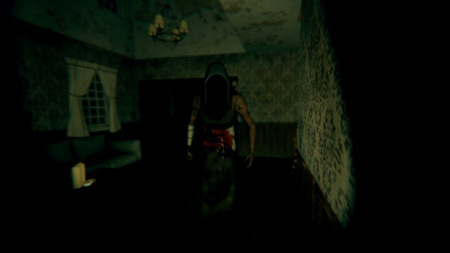 This entry was posted in PC Games, Walkthrough and tagged Terror for Two Cheats, Terror for Two Game, Terror for Two Gameplay, Terror for Two Guide, Terror for Two Hints, Terror for Two Review, Terror for Two Solutions, Terror for Two Strategy, Terror for Two Tips, Terror for Two Walkthrough by Marvin. Bookmark the permalink.